Sabrina is a serial tech entrepreneur and multi-hyphenate born and raised in Montreal, QC. She has started over 8 technology ventures, one of which Placed at Princeton University’s Annual Hackathon 2016. 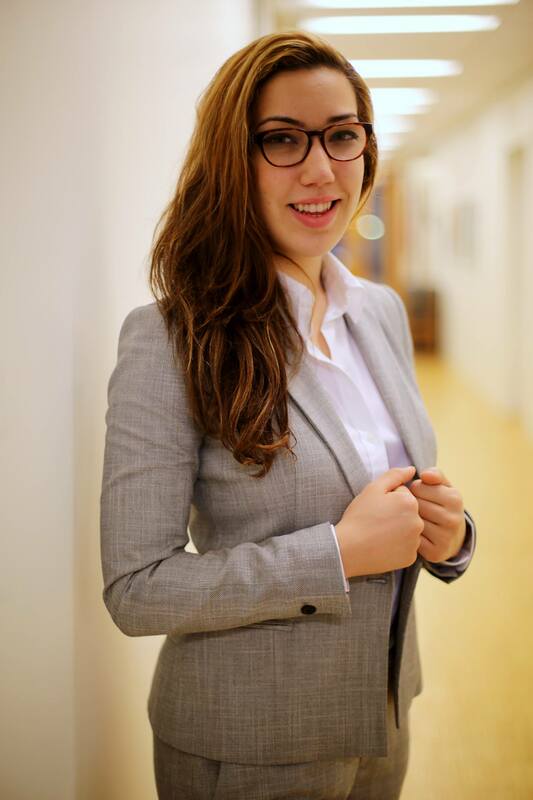 Sabrina is also the Founder of E-Terview, a seamless application for evaluating video interviews using Artificial Intelligence and predictive technology. In addition, Sabrina is part of the Technical Evangelist Team at Microsoft, where she provides educational and technology-heavy workshops to software developers and allies. “Twenty years from now, you will be more disappointed by the things that you didn’t do than by the ones you did do. So throw off the bowlines. Sail away from the safe harbor. Catch the trade winds in your sails. Explore. Dream. Discover.” Mark Twain. I live by the aphorism about the lure of entrepreneurship. Growing up, I always knew that I wanted to positively impact the world. As a first-generation student, my parents always gave me the “safe” option to pursue either medicine, law or accounting. Naturally, I chose the medicine route as it was most in line with my notion of positive change. So, this is what I did; Life Science at the University of Toronto (UofT). After two short years, I stumbled upon a technology course at UofT with a friend. It was not long before I fell in love with technology and its ability to help revolutionize the way things are done in the world. I quickly switched my science program to the Digital Enterprise Management program at the University of Toronto. This is where I learnt about entrepreneurship in a theoretical sense. However, it was not until I started religiously attending Hackathons that I realized that I am meant to be an entrepreneur. For those that do not know, Hackathons are intensive coding competitions where teams of programmers gather and build a software project, typically over a 24–48 hour period. These competitions served as an ideation session for me along with some prototyping for a potential revolutionary business idea. After this, I was able to apply the theoretical knowledge from school into a viable company. So, after attending over 20 hackathons, I am proud to say that I have started over 8 high impact startup ventures thus far with more to come. My current startup venture is an app called E-Terview. This multisided platform allows for a seamless way to evaluate video interviews by utilizing the latest Artificial Intelligence and Predictive technologies. Although I cannot get in too much detail about the app due to legal implications, but we are in the beta stage of development and will be launched after our machine is trained enough. This idea came about in a Toronto Hackathon last year. I teamed up with three, at the time, strangers. We were suggested to create a prototype of a technology that will solve a problem that we know most about. After an ideation session with the team, we realized that we all lacked confidence when it came to interviewing with an employer because we were all students. So, after 20 hours of coding and trying to do rapid prototyping for our app, we presented E-Terview to engineers of Microsoft, Google, Qualtrics, and other tech giants. With their critical yet positive feedback, we were able to gain the confidence to take this idea outside of the Hackathon realm and into a viable business. This is how E-Terview was born. How is your product/service different and unique? What has been your favorite moment with it? What’s the vision? This app is unique on so many levels. Not only is it first of its kind, but it utilizes the latest technologies in a way that was never done before in this industry. My favourite moment with E-Terview is pitching to venture capitalist. It is incredible how much a product can grow and ameliorate just from taking into account the feedback of successful business individuals. The vision is to scale and revolutionize the recruitment industry in two short years. Failure is inevitable in the startup culture. The biggest risk E-Terview faced was a couple months ago, when the team was trying to recruitment an AI expert. The hardest part of producing a non-patented technology is threat of intellectual property theft. So, getting the right people to join our team was quite challenging even with a non-disclosure agreement. We created a contingency plan and seek legal consulting as a result. On a sheet of paper, list 25 goals that you have. Make your plan for the top five goals. Marry your top five goals + plans. (Persistence is key). Acknowledge your “avoid at all cost list”. (this is knowing what your distractions are aka the other 20 goals). This Warren Buffet test can work the same for finding your passion. This test solidified my passions and goals in life. Hunter.io is a fantastic tool for entrepreneurs to find the contact information of individuals that may help with their startup. If you know the individual’s name and the company they work for, this app will be able to provide their company email address in seconds. This was super helpful for me to get sponsorships from large corporations. I have a morning routine that I follow religiously. I acknowledged several years ago that I am most productive in the mornings, so I would wake up 6am and throw on a pair of running shoes right away to go on a quick run. After a shower and getting ready, I sit down for an hour-long reading session while eating my nutritious breakfast and drinking my coffee. This morning routine allows me to perform at my peak for the duration of the day. Not only do I feel healthy and focused, but I became more productive and smarter than I was the day before. There is no formula for the perfect morning routine, just as long as it works for you. Entrepreneurs should definitely focus on their strengths. Through experience, playing on your strengths definitely maximizes your happiness and forges a positive path to success. You are able to find higher levels of innovation and creativity with your task on a project as you feel the most confident. Knowing your strengths is definitely a gift that needs to be exploited fully. As a catalyst for positive change, I see myself using technology as a tool to positively impact the world. We Met The Marketer Behind Bestselling Authors, Fortune 500s, and VC-Backed Startups, Only To Realize He’s A 21 Year Old Who Never Went To College.